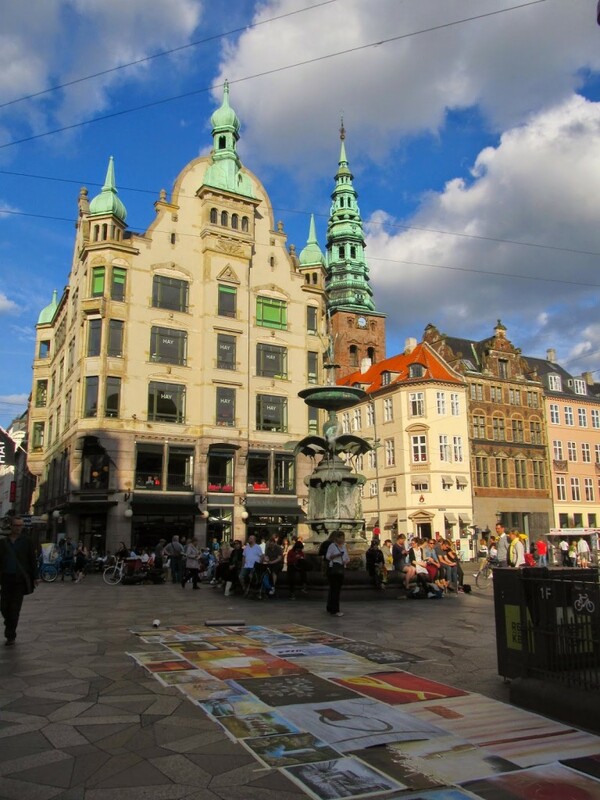 Copenhagen is an incredible city, a place where a rich history meets modern culture. The Danish capital boasts historic palaces and churches, sprawling gardens and parks, canals, and world-renowned fine dining. In preparing for my upcoming move there, I started noticing anything and everything related to the city. And what I noticed the most was that nearly every single post and article were accompanied by an almost identical photo – the Nyhavn waterfront, with its colourful buildings and tall ships. 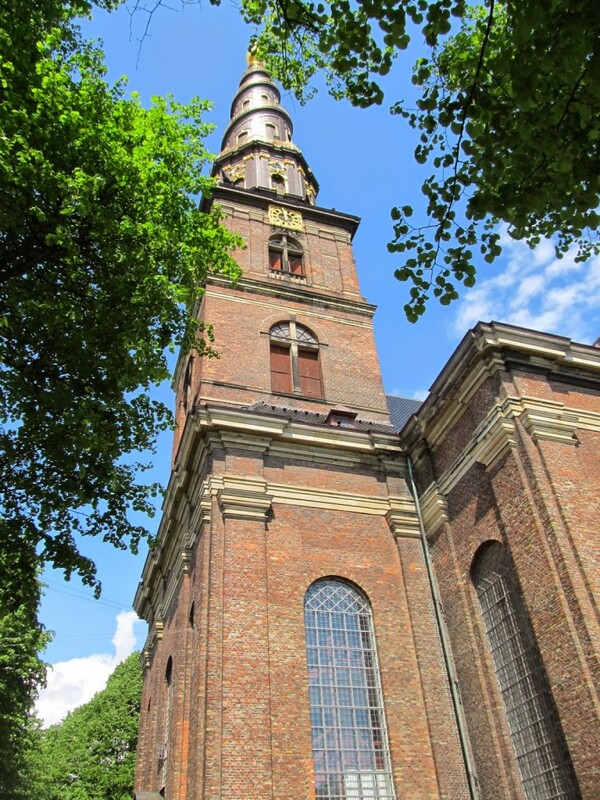 Frederiksberg is one of Copenhagen’s most popular residential areas. It has a young, trendy feel to it, and is home to many cafes, boutiques, and restaurants. Copenhagen is full of green spaces, but Frederiksberg Have was my favourite. The park is a lush green oasis in the middle of the city, with a river running though it which is home to many types of birds, including a Blue Heron colony. The best part? 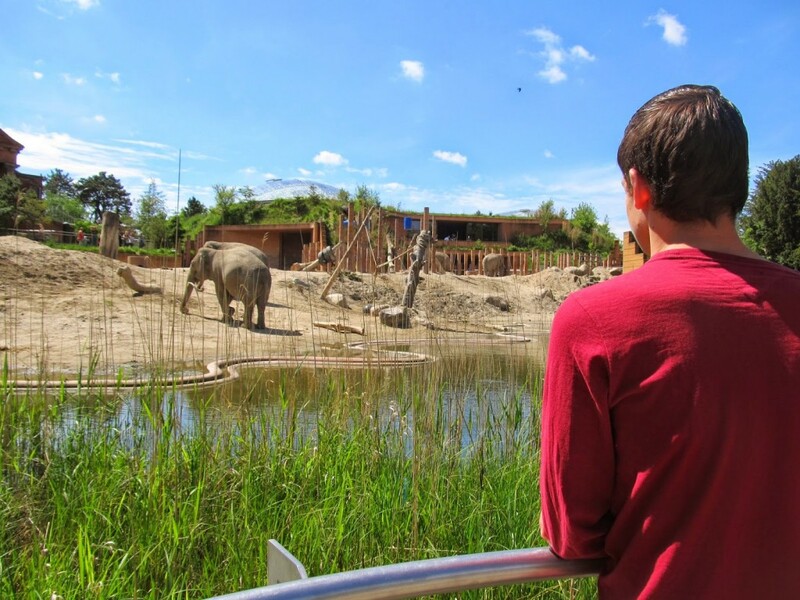 It’s located next to the Copenhagen Zoo, and there’s a viewing area where you can visit the five elephants for free! 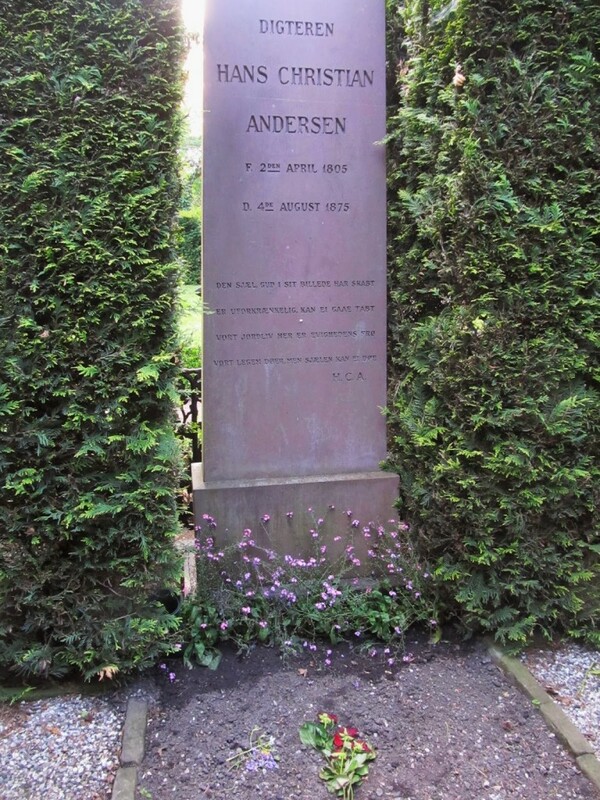 Also in Frederiksberg is a different kind of park – Assistens Kirkegård, which is actually a cemetery! 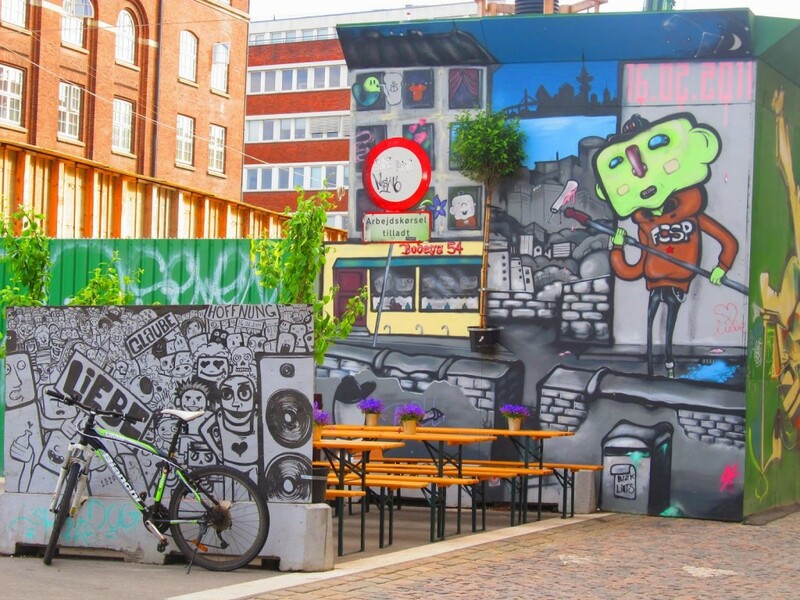 It’s a place where Copenhagen’s most creative minds were laid to rest, from author Hans Christian Andersen, physicist Niels Bohr, and philosopher Søren Kirkegaard, to contemporary reggae star Natasja Saad. Regardless of its main purpose, the churchyard is used by the people as a place to picnic, lie on the grass, and just enjoy the nice weather. 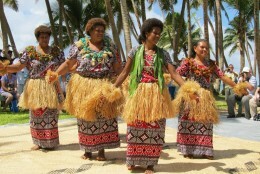 It’s a unique and fascinating place to explore and absorb the culture of the city. Tip: Do as the locals do, and pick up a pizza on the way to the Kirkegård have a picnic before you explore. 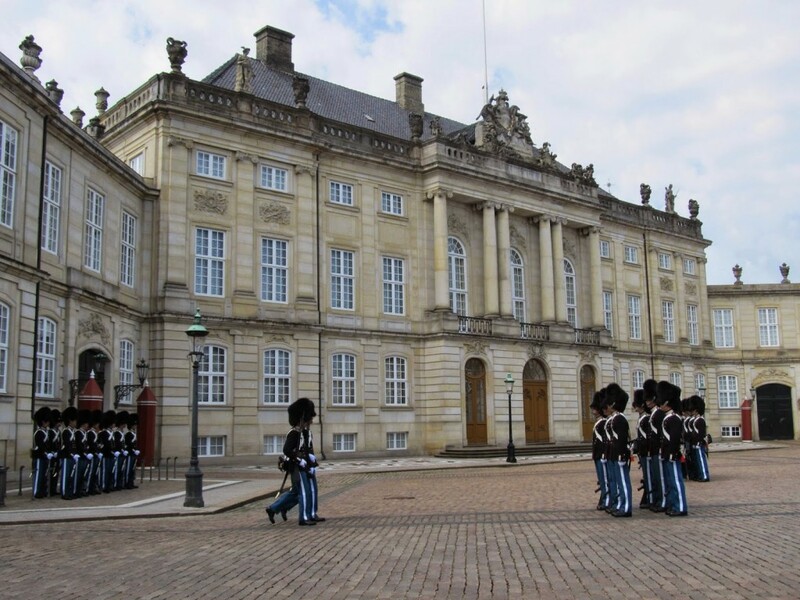 Every day at noon, the soldiers that guard the Amalienborg Palace march on the square for the Changing of the Guard. As the clock chimes twelve, the rows of replacement guards appear as an eager crowd gathers to watch the spectacle. Admittedly, after the initial excitement of the soldiers emerging from the palace, there is a lot of standing around. But it’s worth the wait to see the carefully choreographed sequences as the soldiers march in unison in their smart navy uniforms and distinctive furry helmets. One by one, each guard is relieved from his post as a replacement takes up the watch. Tip: Most tourists get impatient and leave after seeing the initial march and getting their photo op at a distance. To quote this exchange between two of them after less than 10 minutes: “Seen it?” “Seen it, let’s go”. But if you stick around and actually watch the soldiers make their way to each post around the square, you can see the guards up close, and get fantastic pictures. The Strøget area includes the world’s longest pedestrian street. It is packed with everything you would expect – shops and restaurants, squares and fountains, buskers and vendors, and lots of people. Strøget begins at Kongens Nytorv square next to the Nyhavn Waterfront, and runs to Rådhuspladsen (Town Hall Square). 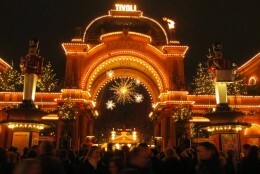 Tivoli Gardens is just across the street, the Danish National Museum (entry is free) and Rosenborg Palace are just a short walk away. Don’t miss the gorgeous Stork Fountain, found at Amager Square. Tip: Don’t just stick to the main street – there are many picturesque side streets and hidden squares to be found just off the beaten track. A short walk from Amager Square is the bridge to the borough of Christianshavn, a bit of an oasis of tranquility in the city. 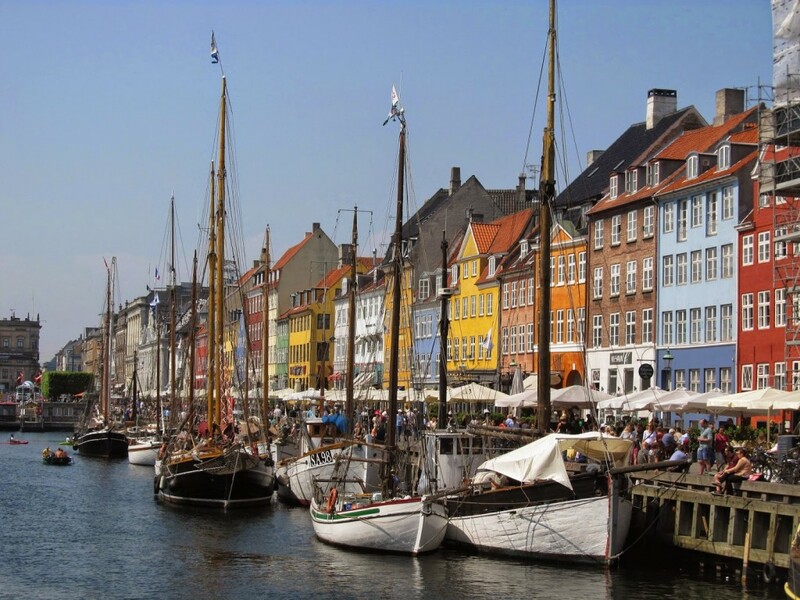 Away from the hustle and bustle, Christianshavn is separated from the city centre by a wide canal which is alive with ferries and leisure boaters, and lined by a boardwalk. The most famous sight here is the Church of Our Saviour, a baroque church known for its spiralling corkscrew spire, which you can climb for a fee. A lesser-known church here is Christian’s Church, located by the bridge. It has a unique interior design, perfect for classical concerts, and has a fascinating crypt underneath it that is still used today. 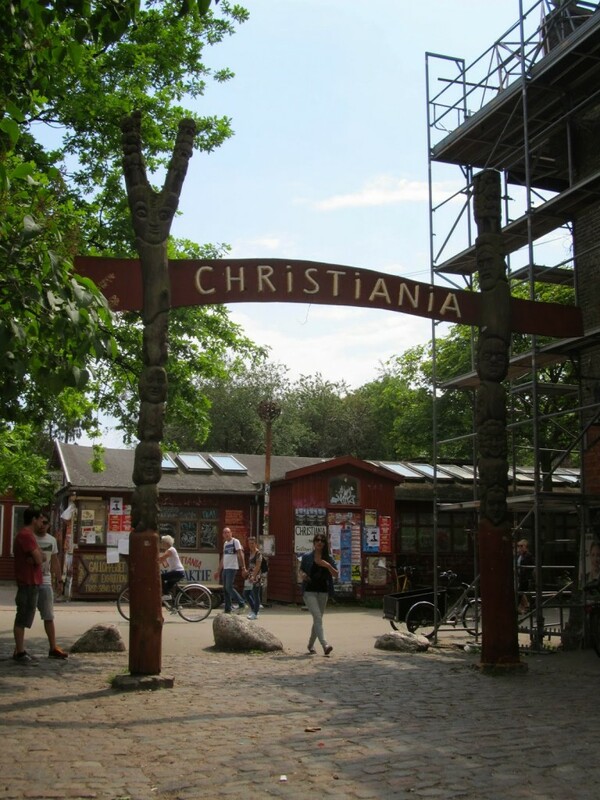 Perhaps the most well-known attraction in Christianshavn is Christiania, a Free Town established in 1971 when squatters took over an abandoned military barracks. A commune of 850 residents, Christiania is governed by its own unique laws. There are shops, cafés, and concerts held inside, but Christiania is famous for the marijuana trade in its Green Light District, even though it is still illegal there. It’s an interesting place to visit, but not for the easily intimidated, as the atmosphere is a bit unsettling and there are strict rules when it comes to visitors. Even so, it’s worth a look, just to see a non-traditional way of living. Tip: Taking photos is forbidden in Christiania’s Green Light District. Put your camera and phone away to avoid any misunderstandings. 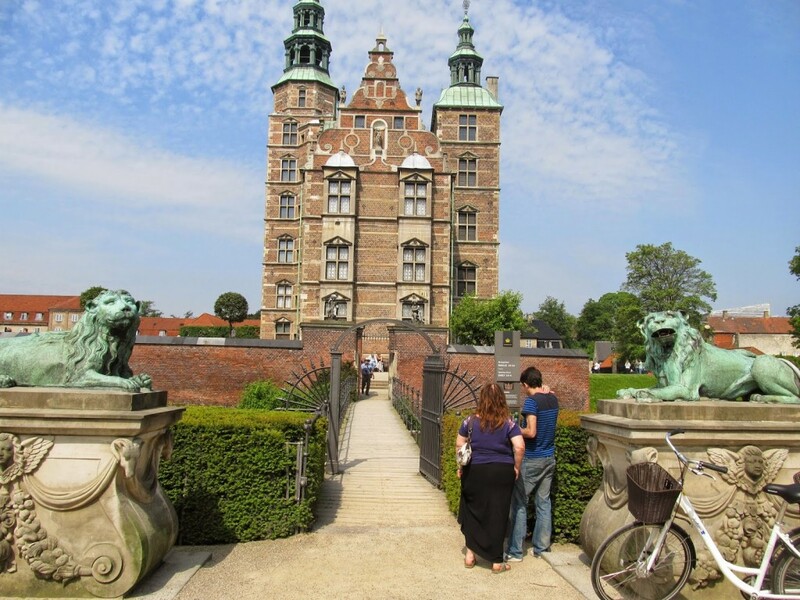 Set in the oldest Royal Gardens in Denmark, Rosenborg Castle was built in 1606 as a Royal summer residence. 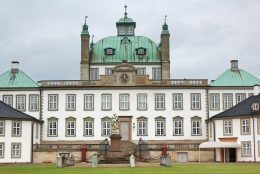 The castle now houses a museum exhibiting the Royal Collections, including the Throne Chair of Denmark, made from narwhal tusks, as well as the Treasury housing the Crown Jewels and the Danish Crown Regalia. The Gardens are Renaissance style, and offer yet another beautiful green space for the people of Copenhagen and visiting guests. A short walk from the Castle are the Botanical Gardens (entrance is free). The Gardens belong to the University of Copenhagen, and cover ten hectares with over 20 000 specimens of trees, plants, and flowers, as well as rock gardens, statues, a lake, a tropical Palm House, and a Botanical Museum. 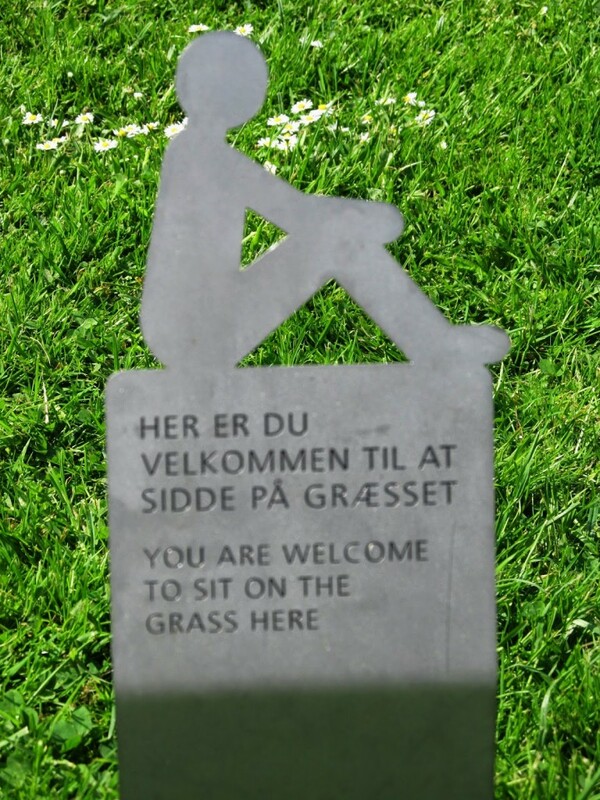 Visitors are encouraged to sit on the grass and enjoy the gardens and sunny summer weather. 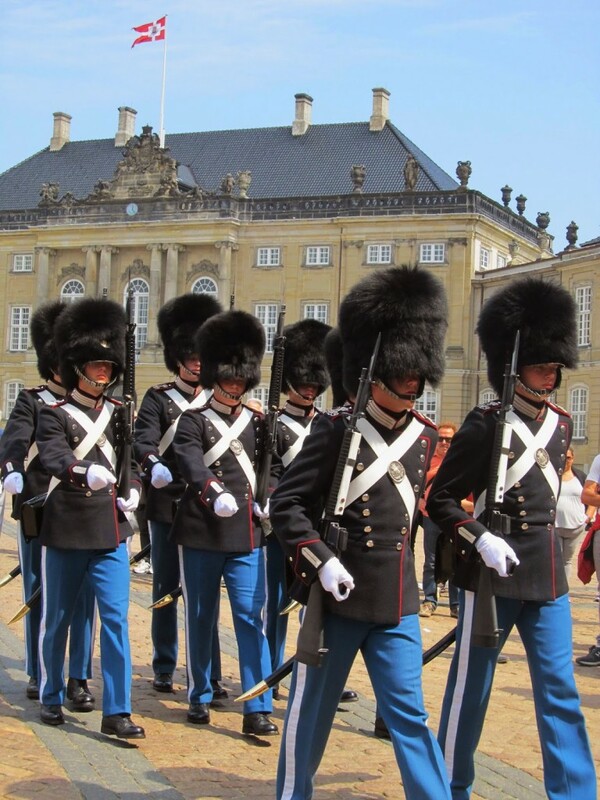 Tip: If you want to visit inside Rosenborg Castle, buy a combined ticket with Amalienborg Palace for 125 kr – buying separately would cost 160kr. 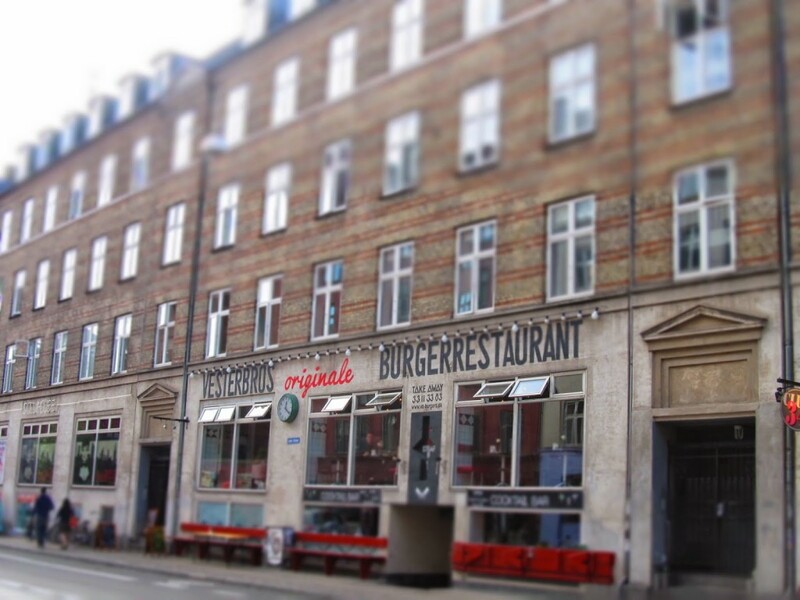 If you’re looking for something a bit different, take a wander down Istedgade in Vesterbro. Close to the Central Rail Station, Istedgade has a reputation as a red light district, but efforts are being made to make it into a cleaner, greener space. It’s vibrant, gritty and colourful, with a hipster vibe. It offers great architecture, lots of street art, and some cheaper options for lunch on the go. Nearby Kødbyen -the Meatpacking District – is a trendy up-and-coming area full of restaurants, art galleries, and theatres. It also has plenty of nightlife. 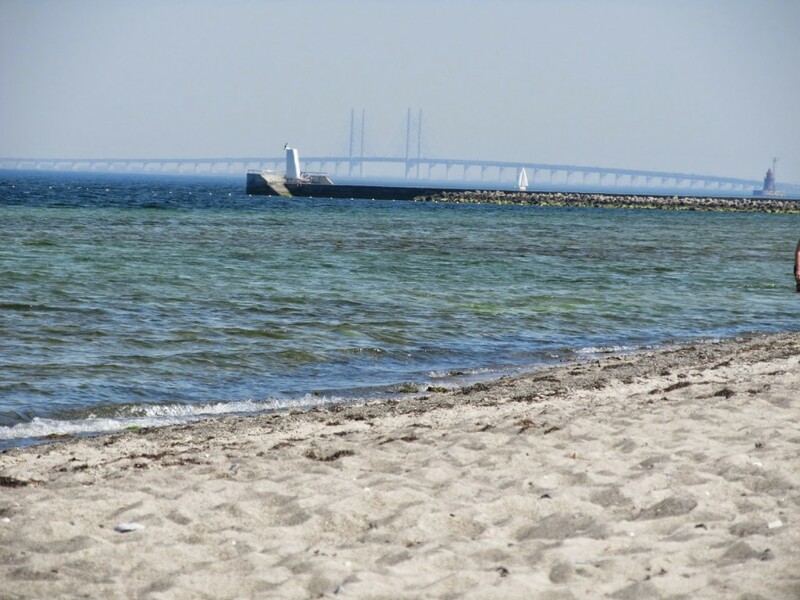 If the weather is nice, hop on the Metro and head to the seaside park of Amager Strand. 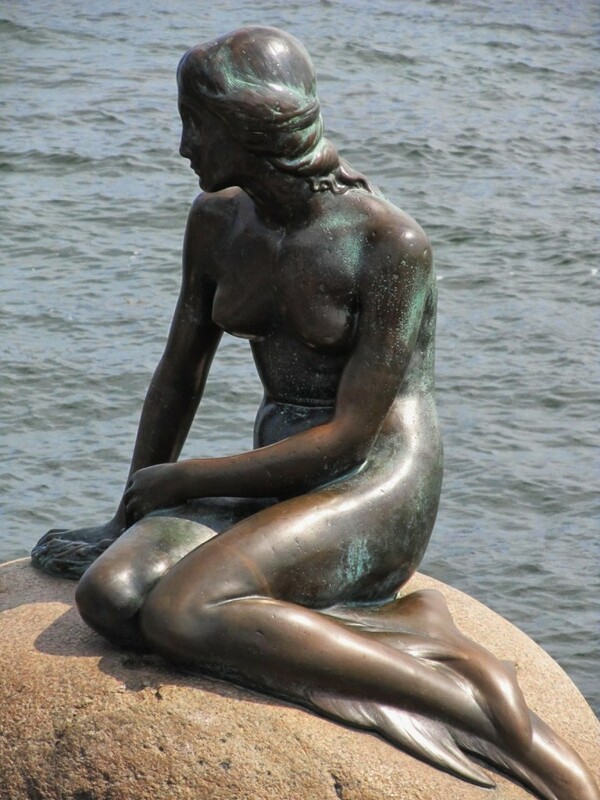 Located on Amager Island, connected by footbridge to the mainland, the park has 4.6km of beaches and a wide promenade. It offers various swimming areas, kayaking, a Blocart track (go-carts powered by a sail), an 18-hole mini golf course, and a designated diving area. The Middelgrunden wind farm and the Øresund bridge to Sweden can be seen from the beach. Tip: Have an ice cream from Smiley’s by the mini golf – the Honey Nougat is delicious! 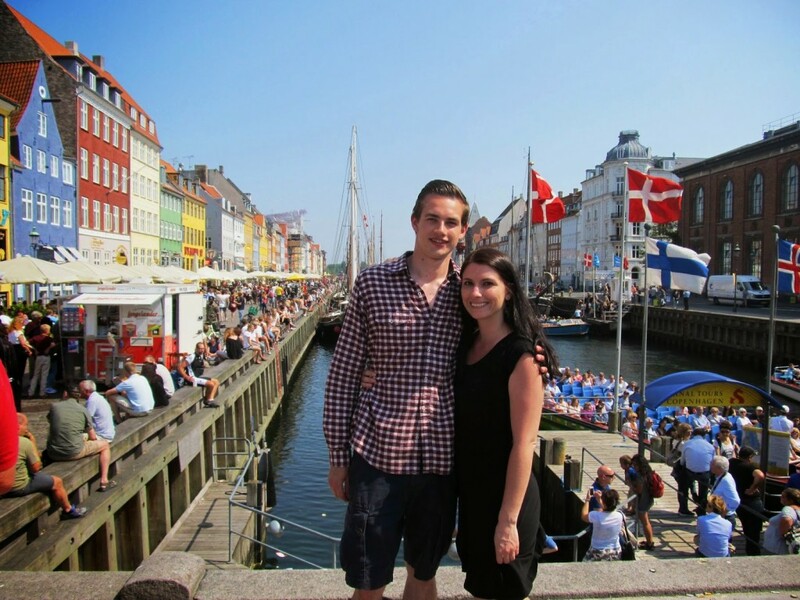 As you can see, Copenhagen truly is incredible, and this is just the beginning! 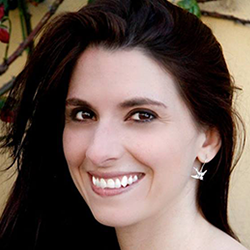 I can’t wait to keep exploring my new city and sharing my discoveries with you. Happy travels!